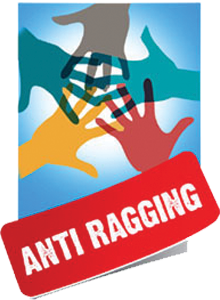 As per direction of Supreme Court of India / University /PCI, the college has formed the Anti-ragging committee and squad for overseeing the implementation of the provisions of the Supreme Court verdict with immediate effect. • Rigorous imprisonments: When the persons committing or abetting the crime or ragging are not identified, the colleges shall resort to collective punishment as a deterrent to ensure community pressure on the potential raggers. As per the instruction of PCI / Supreme Court of India, each of the student of the Institution and his / her parents and, or Guardian are hereby required to submit an affidavit at the time of admission, in the prescribed format as attached to this order, which is mandatory for admission.